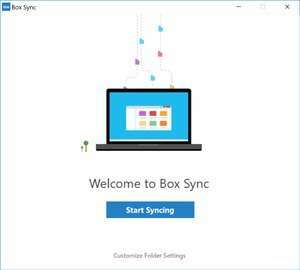 Box Sync is a useful tool for the users who want to synchronize the online Box folder on multiple computers. The program allows you to send files to the cloud and to access the Box files even if you re not online. You can also use the application for locking a file or for generating a link for the cloud files that you want to share with your co-workers. For security reasons, you should also check out the Box Sync download at LO4D.com which includes virus and malware tests. Additional screenshots of this application download may be available, too.